The power of Citizen: An American Lyric by Claudia Rankine makes me wonder what the winner of the National Book Award could have written to outshine Rankine’s words in 2014. In her collection of essays, poems, and vignettes, Rankine points: “‘The purpose of art,’ James Baldwin wrote, ‘is to lay bare the questions hidden by the answers. '” (page 115) She took this to heart when writing this collection because she raises up those questions about race in America and brandishes them like a flag. That is not to say that racism is something that is wholly owned by just white people or white police, but that it is perpetuated by the actions, behaviors, and assumptions both races make about one another. What does it mean to be American? Does it mean as citizens we brush aside these issues and move forward? Does it mean that we must embrace all of this darkness into ourselves and find solutions that may not work for everyone? Or does it mean that we must take a more internal approach and remedy that which we do to perpetuate those wrongs around us? What is engaging about Rankine’s work is that she blurs the lines between the you, the I, the she, the he, to make it less clear cut who is being discriminated against and who is suffering. In this way she takes the time to juxtapose the traditional black victim of white racism formula with a less black-and-white distinction, and it’s done with purpose. Lest you think this book is about racism only through the lens of the victim, it is not. There a great deal to discuss about racism, its roots, its ignorance, and its pervasiveness in American society. While many, if not all, the references are contemporary, they could have been pulled from many times throughout history. Book clubs could discuss this collection of essays and poems for hours. I cannot explain to you how deeply affected by the book I have been. I will likely read and re-read this book many times. I may even put it forth to my book club as a suggestion. 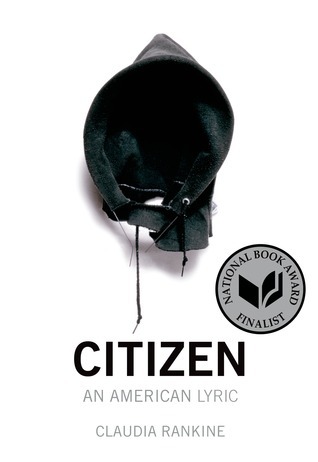 Citizen: An American Lyric by Claudia Rankine is essential reading for every American — young or old, black or white, Hispanic or Asian; it is the beginning of a dialogue that is desperately needed in this country where the presumption of ignorance or incivility is based upon a skin color rather than an individual’s actions and behaviors. While discrimination against “other” continues, it is not merely one-sided, and until we are able to break down those walls to the truth of our humanity, discrimination and racism will always exist. Claudia Rankine was born in Jamaica in 1963. She earned her B.A. in English from Williams College and her M.F.A. 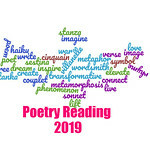 in poetry from Columbia University. She is the author of four collections of poetry, including Don’t Let Me Be Lonely (Graywolf, 2004); PLOT (2001); The End of the Alphabet (1998); and Nothing in Nature is Private (1995), which received the Cleveland State Poetry Prize. It does sound like a great book for discussion. This sounds like a very timely book. This is a book with a lot to say and not say — it’s a book for discussion.